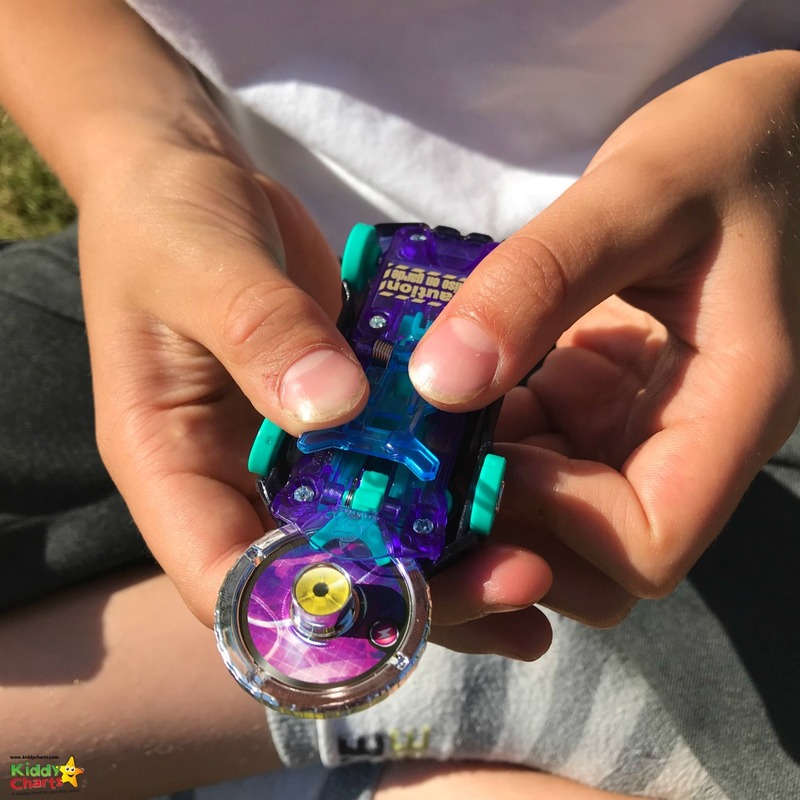 We LOVE a cool toy on KiddyCharts; and the new Screechers Wild looked like a lot of fun, so we jumped at the chance of taking a look at them over the last few weeks, and to see if they might even help entertain the kids for SOME of the holidays. These toys are a new set of collectibles that enable your kids to get a little bit more creative with their cars, transformers, and racing. They are a bit; all-in-one. 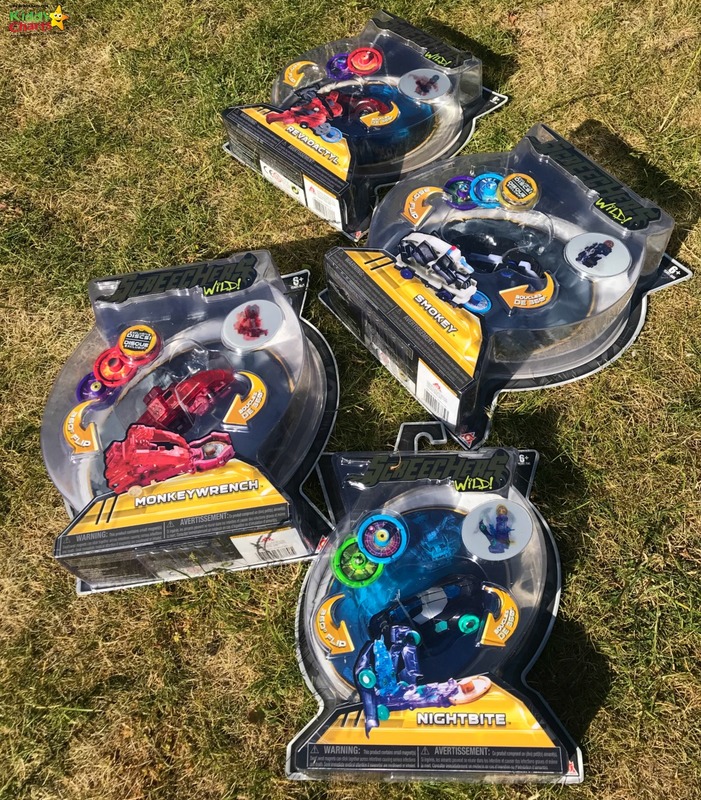 It did take us a little time to work them out, but the idea is that you use the small coin that comes with them to transform your car with a quick flick, and it flips 360 degrees and turns into a cool “monster” from its car! 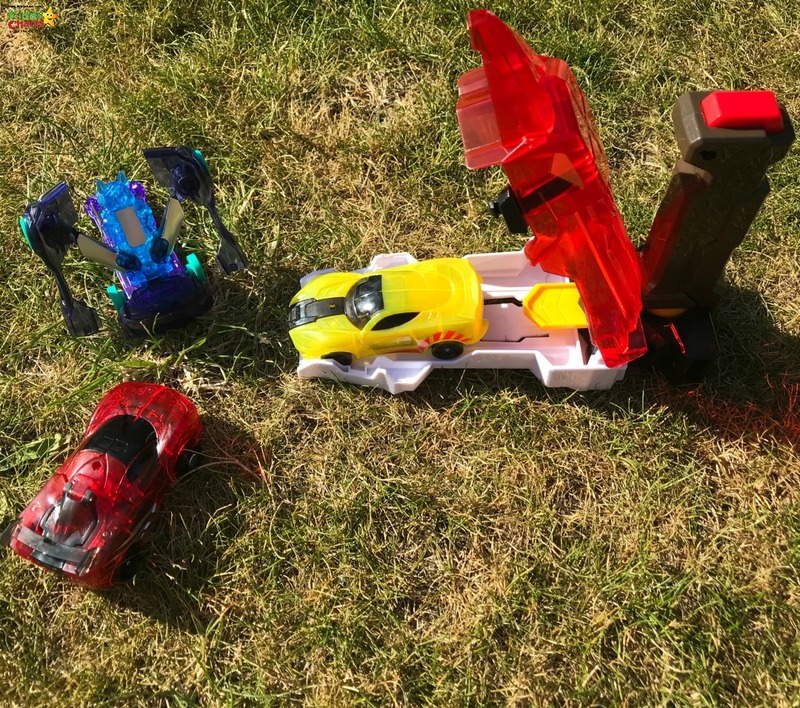 And some accessories to make game play a little more frenetic, including a toy that helps fire the coins into the cars fast and furiously, and a launch for the card too! You can launch cars into each other, or race them against each other if you have two launchers. You can use the coins to morph your cars into their characters too. What did we think of Screechers Wild? It took us a little bit of time to work out the aim on this – but when we did, the kids had a bit of fun playing with them all, and morphing them one by one. They loved video-ing them in slo-mo actually; while it was happening…definitely something that is going to occupy them. The coin operated morphing does add an extra dimension to the play for the kids, and the fact there are are a few different ones to collect, means that your kids will be able to play with and against each other over a period of time. Our favourite was Monkey Wrench because his morph was (supposedly) the coolest of them all! These are well made toys, and look nice and robust. The idea of morphing using a slot coin is really original, and there are loads of them to collect to keep the younger children interested. Who doesn’t love a collectible? Definitely more for the younger audience though, as long as they understand the mechanics of the morph (6+ I would think think). For the older child, there isn’t as much longevity in the gameplay as we had hoped. My 11-year old loved them for a while, but then moved on after taking his videos. But that does seem to be a feature of approaching tween-dom!